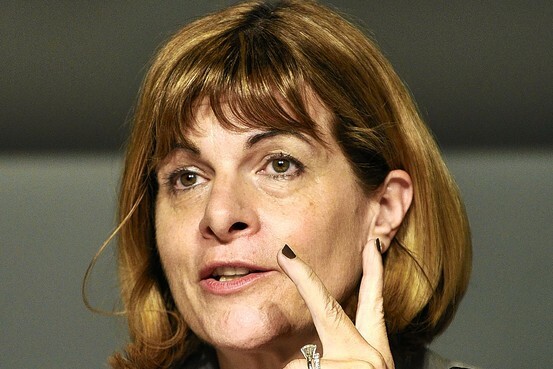 Former AREVA CEO Anne Lauvergeon has filed suit against her former employer in Paris court for withholding payment on her €1.5 million ($1.9 million) severance package. Ms. Lauvergeon stated at a two-hour news conference on Monday that, "I have been attacked, slandered and spied upon." Ms. Lauvergeon headed the French state-controlled company for 10 years. Ms. Lauvergeon was probably sacked because of the company's 2007 acquisition of Canadian mining company UraMin, which turned out to be a failure due to the collapse of the nuclear rennaisance. Ms. Lauvergeon was replaced by Mr. Oursel in June after the French government failed to renew her mandate as CEO. Last month, Mr. Oursel said Areva would freeze severance payments to Ms. Lauvergeon until it finished an internal probe of the soured $2.5 billion acquisition, which took place during her tenure. Areva took a $1.9 billion write-down on UraMin after its uranium reserves proved less bountiful than expected. She is alleging that AREVA used a private investigator to keep tabs on her. Ms. Lauvergeon also accused Areva of having paid an investigator to illegally access her phone records. The company held the rights to mine uranium in several countries, including Namibia, South Africa and the Central African Republic, but no mines had yet been sunk. Soon after the deal was completed, it became apparent that extracting the uranium would be more complicated than first thought, as most of it was in a remote part of the Central African Republic.Meanwhile, uranium prices plummeted as demand for nuclear power slowed. On Monday, Ms. Lauvergeon defended her decision to buy UraMin, saying the company's valuation reflected the price of uranium at the time of the deal and the belief that there was going to be booming demand for nuclear energy. She said it would be unfair to pin any blame on her alone because the French government and Areva's board both sanctioned the deal.